Headphones are ingrained in startup culture. If you visit a startup office, more often than not, it seems like everyone is wearing headphones. The same workplace norm doesn’t appear to exist at law firms, medical practices or anywhere else really. A hacker needs to concentrate without interruption for long periods of time and yet has almost no quiet personal space at work. A pair of headphones is a great solution to the contradiction inherent in this situation. Beyond the practicalities, hackers seem to be personally invested in their choice of headphones. Headphones are a tool of the trade, and like many craftsmen, programmers like to talk about their tools (what other professions could have lively debates about Text Editors?). Ask a programmer about his headphones and you’re likely receive a more detailed response than you care to hear. At Priceonomics we became curious about what types of headphones programmers actually wear. Sure we wanted to make sure our headphones price guide was comprehensive, but really we were mostly curious about the headphone preferences of our peers. What are the trendy headphones? Do people like the same headphones as us? Are we finally cool? As craftsmen, we too are sometimes more interested in the tools of our trade than is absolutely necessary. Many hackers also didn’t seem too picky or snobby about their headphone selection. The third most popular brand for headphones was the ever-present white Apple earbuds. Mass market brand Bose scored well despite their lack of audiophile street cred. Conversely, audiophile brands like Grado, AKG and Beyerdynamic barely registered. When you drill down into specific headphone models, Hacker tastes are even less exotic. It turns out, sometimes the best pair of headphones are just the ones you always have on hand: the Apple earbuds. The extremely well advertised Bose QuietComfort 15 was also extremely well represented among hackers. Beyond that, entry level models from high end manufacturers (Audio-Technica ATH-M50, Sennheiser HD 280, Sony MDR7506, and Grado SR80) seem to be the sweet spot. Does the thought of wearing used headphones not seem icky to you? If that’s the case, we have some deals for you! We looked at the top headphone models and compared their new price on Amazon versus the used price estimate on Priceonomics. While most headphones depreciated about 30%, the popular Bose QuietComfort 15 stood out as having the best resale value. We suspected that had we polled audiophiles about their favorite headphones, Apple earbuds and Beats by Dr. Dre would not have made the list. Also, audiophiles tend to have large budgets to indulge their passion and presumably are more likely to prize sound quality over other features, like not annoying your co-workers Since we don’t know many audiophiles, we consulted a poll on the Audiophile subreddit where people recommended their top headphones. As suspected, mass market brands like Bose and Beats by Dr. Dre don’t make the list. While somewhat popular with hackers, entry level Grados and Audio-Technicas were extremely popular with audiophiles (in this extremely non-scientific poll at least). Lastly, we asked programmers how much time they actually wear headphones while working. Surprisingly, almost no one wears their headphones all the time while coding. Unsurprisingly, few people who took the time to respond to a survey about headphones said they don’t wear headphones at all while working. Hey you, what kind of headphones do you like to wear while working? 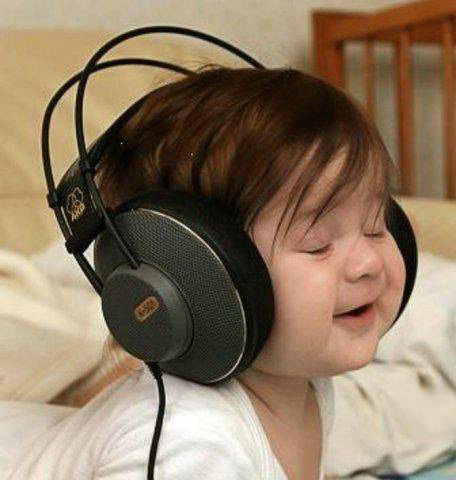 In conclusion, we admit we’re thoroughly fascinated by which kind of headphones people use. That includes you. Take this poll and the chart below will automatically update with results about the most popular brand of headphones to wear while working (according to readers of this article). It’ll be fun, maybe. Thanks for playing. Disclosure: Sennheiser paid us $1 million to write this article. Just kidding. This post was writen by Rohin Dhar, who wears Grado SR80 headphones at work. Follow him on Twitter here or on Google Plus. Get the latest from Priceonomics on Facebook or Twitter.